Denise Coloma, owner of Boy Meets Girl in Coral Gables, FL, celebrates a quarter-century of success. Marking 25 years as a children’s retailer, Denise Coloma is delighted to be welcoming many of her original customers back to shop for their own kids. She believes such generation-to-generation loyalty is the ultimate sign of respect. “While it sure makes me feel old, I’m so appreciative for what that says about my business,” Coloma says, attributing the store’s longevity to a classic selection and exceptional customer service. “Seeing my store valued generation to generation makes any challenge worth it,” she adds. The opportunity was a void Coloma saw in the marketplace. 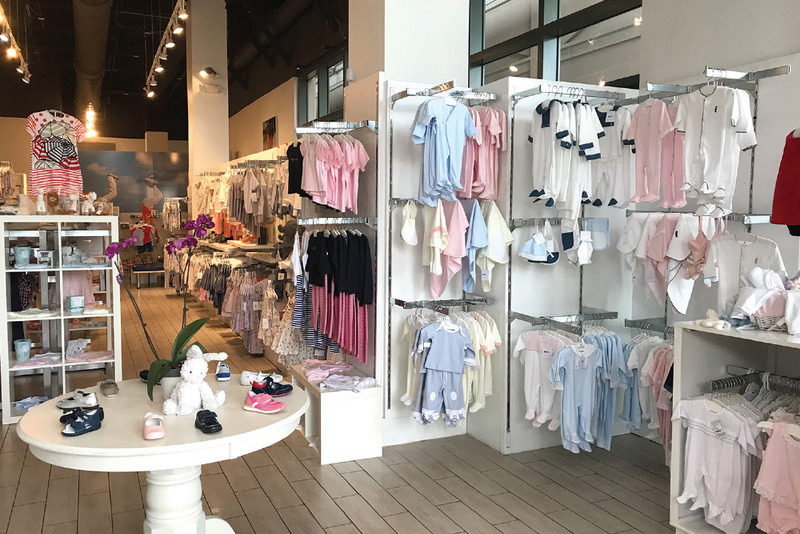 Having settled in Coral Gables, a city just south of Miami, she had struggled as an expecting mother to find a well-curated selection of children’s apparel brands. Fusing her finance degree with her classic sense of style, she decided to solve the problem herself. She rented an elegant space in a local shopping center and went about stocking a selection of infant, boys’ and girls’ apparel. You might say it’s been Boy Meets Girl business as usual ever since. Denise Coloma, owner of Boy Meets Girl. Coloma uses frequent e-blasts, direct calls to customers and in-store events to help spread the word and connect with her clientele. “It’s that one-on-one communication when you’re a small business that sets you apart from the big box and e-commerce sites,” she says. “We’ll often call the person who places an online order, confirming the purchase and presenting an upsell that fits their needs.” And while Boy Meets Girl benefits from e-commerce purchases within the U.S. and South America, Coloma says the majority of revenue still comes from in-store shoppers. Another one of Coloma’s tween no-nos: carrying baby clothes in the same store. It sent many preteens racing toward the exits. “They were already unhappy just walking in,” she says. One category, however, that Coloma keeps in big sizes is shoes—up to size 38 (7.5). In addition to many kids having bigger feet these days, shoe shopping can be a logistical challenge (think nightmare) for moms. It’s better to try and shod as many children as possible while they’re all in one place. “It’s an all-inclusive and painless try-on process,” Coloma says. Of late, she reports slip-on styles as selling particularly well in metallic, especially rose gold. Naturino is one of Boy Meets Girl’s leading footwear brands. Others making it onto the shelf include Pediped, Superga and Eli. As for apparel, timeless looks with modern flair are always the foundation to Coloma’s buy. “Nothing is blinged out—just nice quality and simple,” she says, citing chambray dresses, cute prints, neon details and navy as favorites this season. “I also sell a lot of jewelry—a lot of pearls and real gold. I never sell costume jewelry,” she says, citing Mindy Harris as her best-selling accessory line. Of late, Coloma is putting a significant amount of effort into growing Petit Atelier, her private label brand. It first debuted four years ago when Coloma sought a new challenge. “I can practically run Boy Meets Girl with my eyes closed, so I wanted to try something new,” she says. So far so good as Coloma reports Petit Atelier continues to expand beyond Boy Meets Girl with reps for the Dallas and Atlanta markets as well as exhibiting at Children’s Club in New York. “It’s a very preppy European look—quality materials that are well-tailored in soft pastels,” she says. Over the next five years, Coloma hopes to build Petit Atelier into a full-on lifestyle brand. “Right now I only offer traditional clothing and layette, but I’d love to branch out into shoes, swimwear—an all-inclusive assortment,” she says.